Will Resume Shipping Around 8/31/2018. Product: Huffy / Spalding 309 Basketball Pole Extension Arm Kit Square Pole. Shipping Included in the pricing of the product when shipped to the 48 continental United States. 1-piece, 4 inch square pole. Also fits most Huffy / Spalding 54 in. Basketball Backboards. Ground Sleeve for easy system installation included. 48 inch clearance overhang distance from front of pole to back of backboard. 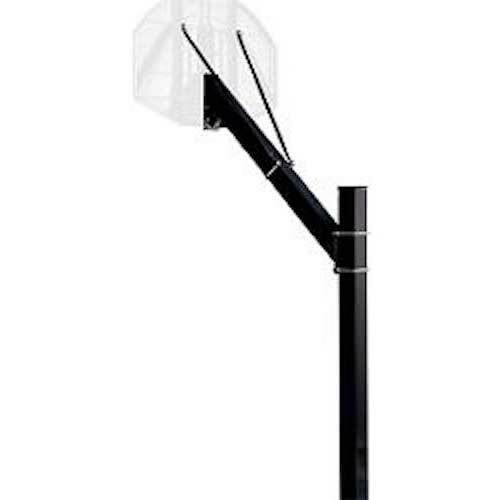 Competitive Edge Products is an authorized retailer of Huffy / Spalding 309 Square Basketball Pole Arm Extension Kit. Let us know if you find this model of Basketball Pole Extension Kit cheaper anywhere else online, we will try to match or beat their advertised price (price of the product + any shipping costs). Q: I need the replacement backboard and bracket to fir this 4 inch pole do you carry it or who might? A: You can get it by calling 800-558-5234. Q: What Poles can this attach to? A: This already includes a 4" square pole that is approximately 9' 8" long, and the bracket extends it to the regulation height of 10'. Dimensions: 116" x 4" x 4"